Andrey contacted us on behalf of his wife, the owner of Dornoch Place in Cape Coral, FL. They are a smaller assisted living facility and wanted to get a simple website together for marketing. Andrey sent us over a brochure that they have and requested to have the same information put on the website. We worked with Andrey and created a custom map at the bottom of each of the pages, added a picture gallery for the photos they provided, and also made the website mobile friendly. Today, the site has been completed and approved! 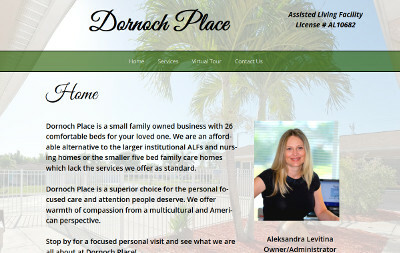 The Dornoch Place website is at capealf.com. Brian Rhode, the owner of Rhode Heating and AC, was referred to us from one of our partners in the IT industry. He came to us seeking help on getting better placement for his Google Places listing and to get a new website created to reduce his yearly cost of his web hosting services. The first thing we did was to ‘take ownership’ of the Google Places listing since it was not already claimed. We worked with Brian to complete the verification process and got his listing fully finished. Upon doing so, his Google Places listing is now coming up at the top of the results in the communities he wanted to target. Before, he was only coming up in his small community – where there wasn’t enough work to keep his business going. After this was completed, we created a simpler website that showcased his products and services. The site included mobile device compatibility and a basic contact form. A few changes later and the inclusion of Financing buttons from his bank – the site was approved and made public! We appreciate the business from Brian and look forward to working with him on any other website needs. 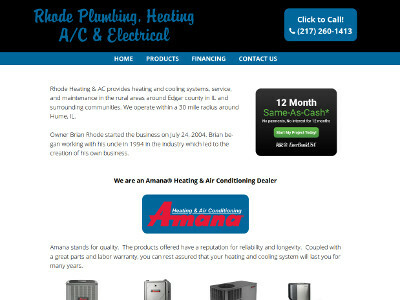 Rhode Heating and AC’s website is at rhodeheatingandac.com. Raj, the owner of A to Z Home Inspection Service, reached out to us a few months ago needing a new website created. He has had a website for many years but it was outdated and prevented him from being able to make changes to the site easily. We re-created the website using mostly the same information but modernized it. In addition, the site was created using the WordPress platform so there is an easy to use interface for Raj to be able to make changes to his website without needing external help. The website has been published this morning and is ready to go! 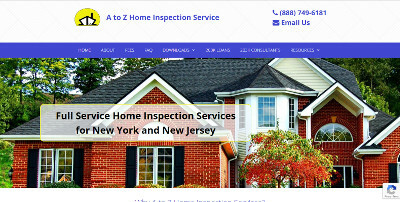 A to Z Home Inspection Service’s site is at atozhomeinspection.com. Ashley worked with us over the past few weeks on the completion of her logo design and also the website. 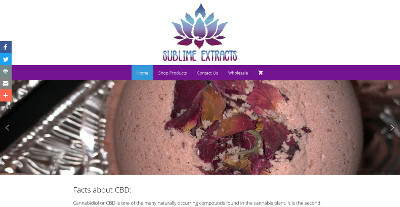 The Sublime Extracts website is a simple eCommerce site with a few products such as bath bombs and beauty products. We assisted with creating the simple website for Ashley with several features – such as mobile compatibility, product loading, social networking integration, hover over navigation, and a homepage slideshow. The site has been completed and is now open for business! The Sublime Extracts website is at subextracts.com. Annemarie emailed us last week needing to get some information on our basic website services and a logo design. After discussing her needs, she did go forward with a basic three page website with mobile compatibility and a vector logo design. Several renditions of the logo were created for Annemarie. She has now chose a logo to approve and the logo is completed! We are working through the website right now and will be done with that very soon. Ashley from Sublime Extracts contacted us about two weeks ago. She wanted to get some information on the costs to create a professional logo and also a website for their company. They already had a logo idea in mind – but needed to have it done in a professional and print grade (vector) format for use on printed materials as well. Our logo designer began working on the logo when the order was placed. Yesterday, the logo was approved and it is now done! We are still working towards completion of the website but are getting close to wrapping the site up. 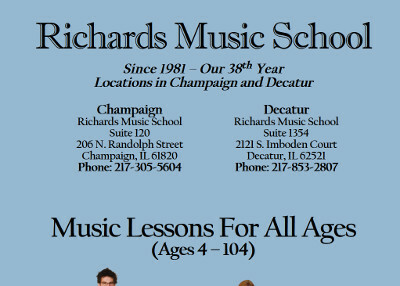 Richard, the owner of Richards Music School located in Decatur IL and Champaign IL, reached out to us last week. He was looking for some help getting a new website created from a local website designer. We met with Richard initially to discuss his needs. He already had a Word document created with all of the exact formatting and setup that he wanted on the website. Over the next few days, we worked to create the website to be as close as possible to the Word document that was provided. On Monday, Richard sat down with us and went through some final changes and approved the website. We also assisted Richard with getting some changes completed on his Google Places listings so he would hopefully rank higher in the search results. He also mentioned wanting to do some pay per click advertising with us as well so we’ll be managing a campaign for him. The website for Richards Music School is at richardsmusicschools.com. 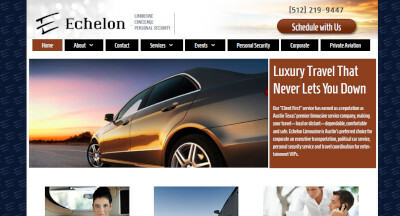 Clay, the owner of Echelon Limo, reached out to us requesting quick help with his website. He was experiencing some large issues with his website – where someone could search for them in the search engines but when the website link was clicked, the page would not come up. There appeared to be some setting or issue occurring with the website that was created that caused search engine referrals / redirects from showing the site up properly. 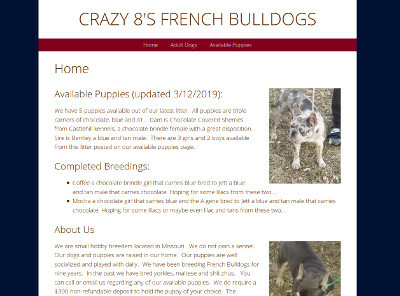 Clay wanted to have the website rebuilt in WordPress since he had heard about it – and how easy it was to update or make changes to it themselves. With the other website, he had no ability to update it. Clay placed his order the same day to get started. We worked quickly to rebuild the 17+ page website and had it done within a few days. They reviewed the site with us on the phone and we corrected and updated a few items. Today, the website has now been finalized and launched! The problem with the search engine referrals has also been resolved so the website properly displays when their business is searched. Clay was very pleased with the service offered and the fast turn-around time. He mentioned potentially changing over to us for website hosting in the future as well. The Echelon Limo website is at echelonlimo.com.